When I received the box, I discovered that very little of the fabrics she sent were cotton. 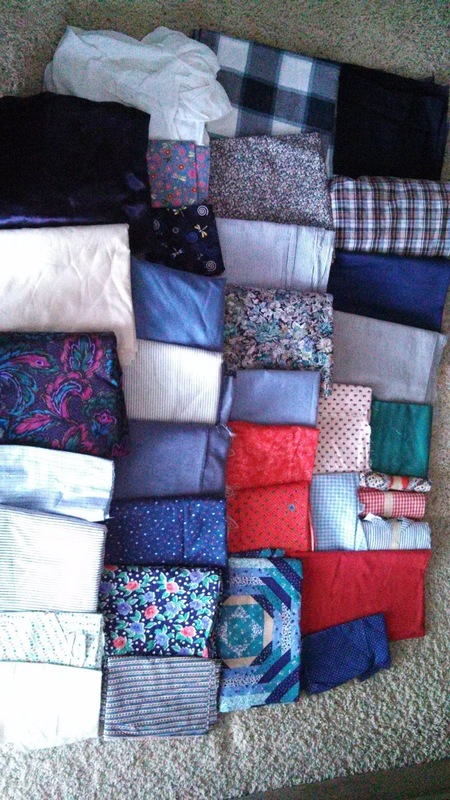 There were clothing items (lightweight, see-through shirt, bridesmaid type dress, her grandpa’s plaid shirt, etc) and many fabrics of various types. 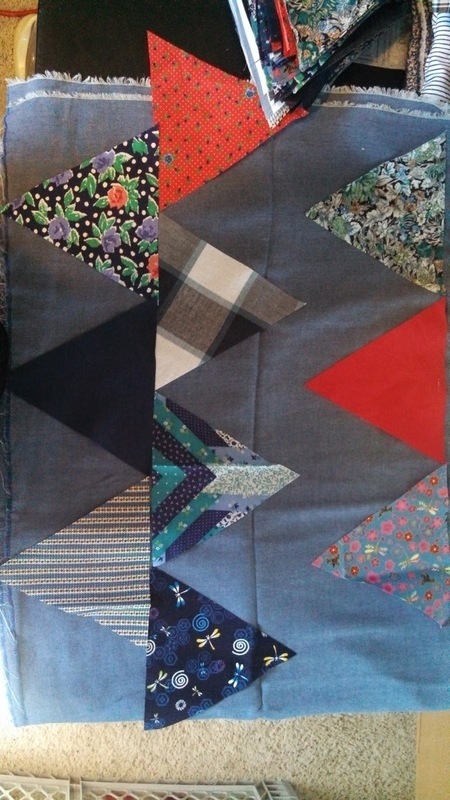 I scoured Pinterest looking for scrap quilts that might be suited for the project. I texted some pictures to Amanda to see what she liked, and she didn’t like any of them. 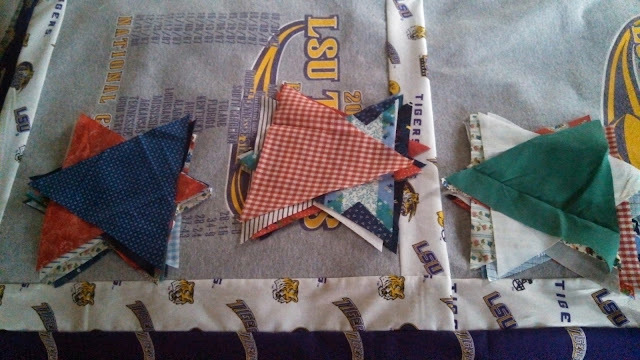 I sewed the triangles into rows, then sewed the rows together. A couple rows did not line up at all. I left the edges angled, and gave to my localish longarmer Kathy Michel to quilt. 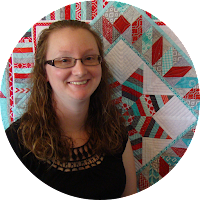 She quilted it with an all-over stipple design. I sewed a couple of the largest fabric pieces together to use as the quilt back. Once I got it back, I decided since the edges did not line up, I would cut them straight. I used a red fabric from the box for binding. 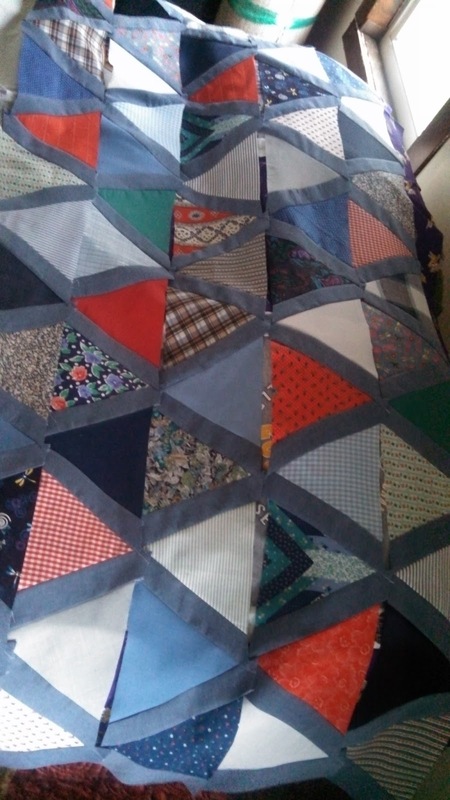 I gave the quilt (along with this one and this one!) to Amanda when she came to visit us the weekend of May 2nd. 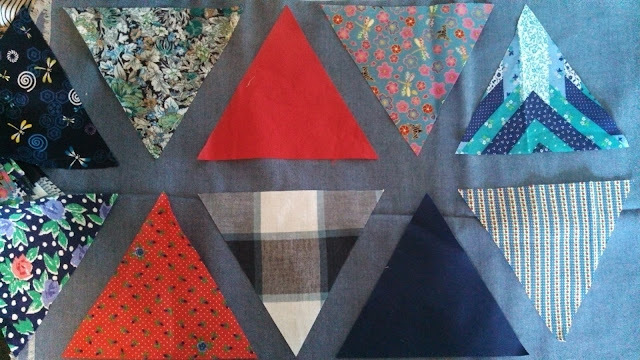 When Amanda originally sent me the box of fabrics to make a memory quilt from her mom’s fabric stash, I quickly concluded I could make many quilts from the fabric in the box. 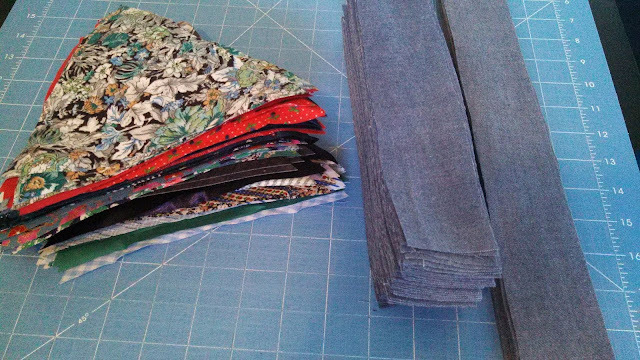 I decided I would secretly make three quilts – one for each sibling. See the other two here and here. 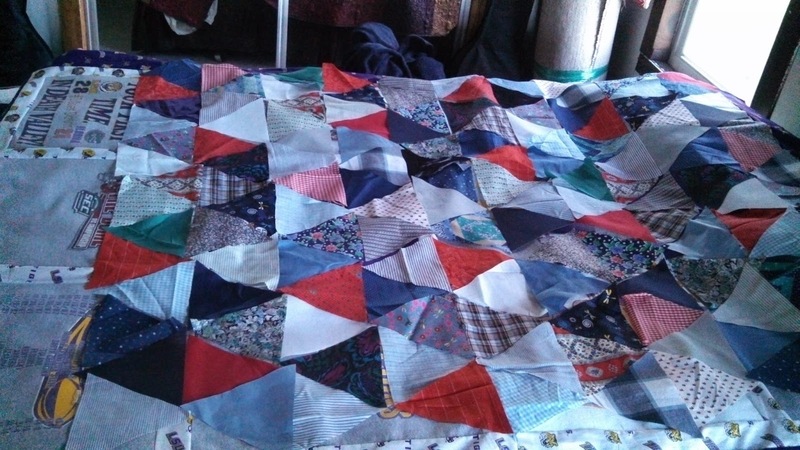 Three quilts for three siblings. 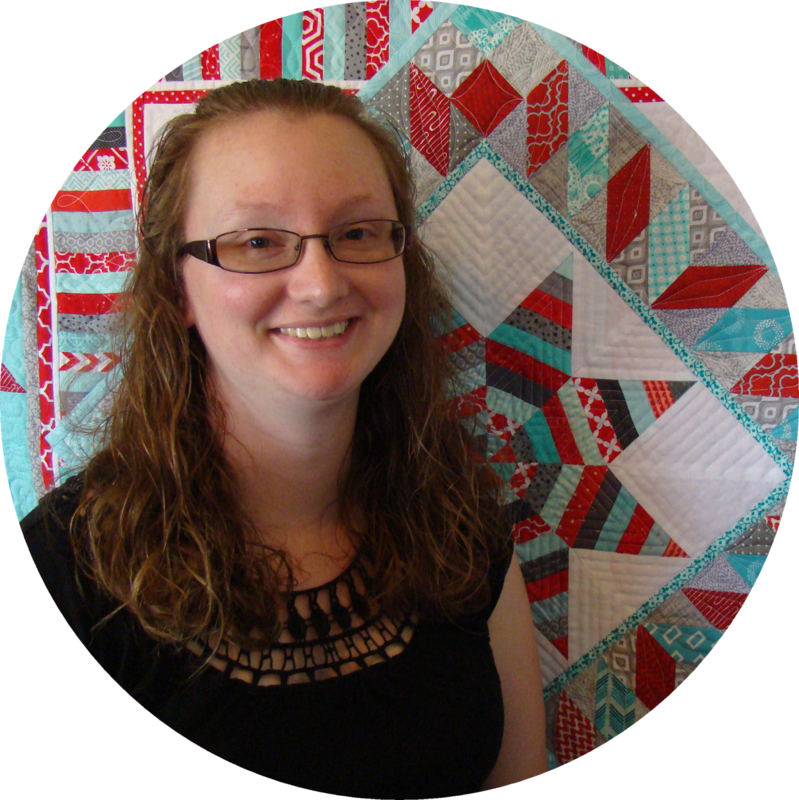 A beautiful tribute to a mother and sewist.